Just two weeks ago he was in his hometown of Cannock for a special screening of his short film The Silent Child. 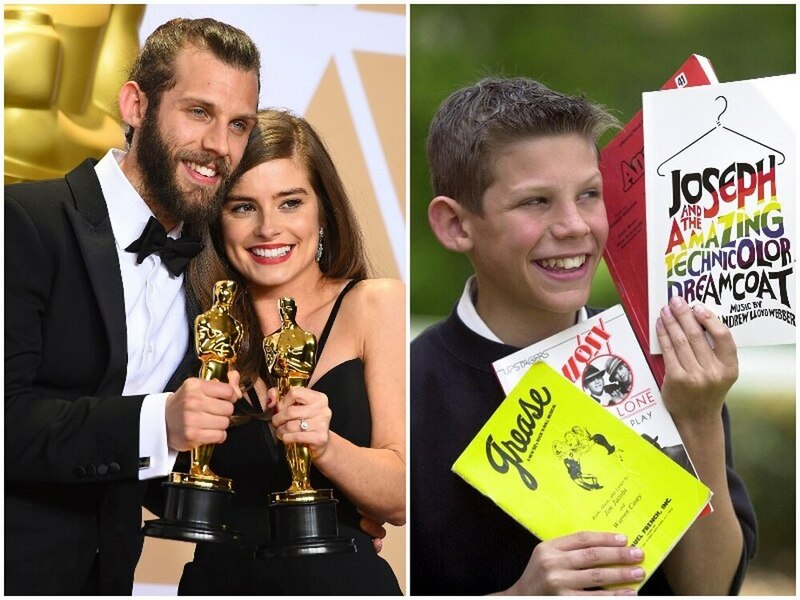 Now director Chris Overton is the toast of Hollywood after picking up an Oscar for the film alongside writer and fiancée Rachel Shenton. The couple have been roundly praised after Rachel, who is from Stoke, delivered her Oscar-winning speech in sign language. “I made a promise to our six-year-old lead actress that I’d sign this speech and my hands are shaking a bit so I apologize,” she said. Lead actress is Maisie Sly walked down the red carpet at the awards ceremony in Los Angeles, but did not go on stage. She auditioned at charity dDeaflinks Staffordshire in Stoke for the film, which was written by Rachel. It is inspired by Rachel’s late father Geoff who turned deaf while undergoing treatment for cancer while she was a child. Chris, aged 28, a former pupil at Kingsmead School in Hednesford, proudly showed the film at the Electric Palace Picture House Cannock Cinema last month in front of an audience of dozens of people. Ruth Woodcock is manager at dDeaflinks Staffordshire. The charity donated money toward the film and gave space for auditions. Ms Woodcock said: “Rachel worked as a receptionist for us and came back with her idea asking for help. We were happy to help. Also to back the pair was the M6 Toll and Chris’s former school Gorsemoor Primary in Heath Hayes, which also donated £400 to Chris for schooling at Sylvia Young Theatre School in London during his schooldays. Oatcakes and Milkshakes, based in Stone and Stafford, also raised cash by donating £1 for every salted caramel monster shake sold. In return, part of the film was shot in the company’s Stone store. Chris Overton was among stars such as Gary Oldman, Frances McDormand and Guillermo del Toro who were announced as winners for the 90th Academy Awards. But the 28-year-old, who hit the ground running with his directorial debut for The Silent Child, comes from humble beginnings in Heath Hayes and his family still live in Cannock. He studied at Gorsemoor Primary and then Kingsmead High School in Hednesford where he was often in the spotlight for his talent. He played the Artful Dodger in Oliver Twist and Fat Sam in Bugsy Malone in school productions before he was offered a place at the famous Sylvia Young Theatre School in London when he was 12-years-old. He narrowly missed out on a full scholarship to the prestigious drama school and got the help from sponsors to help pay tuition fees and accommodation fees. 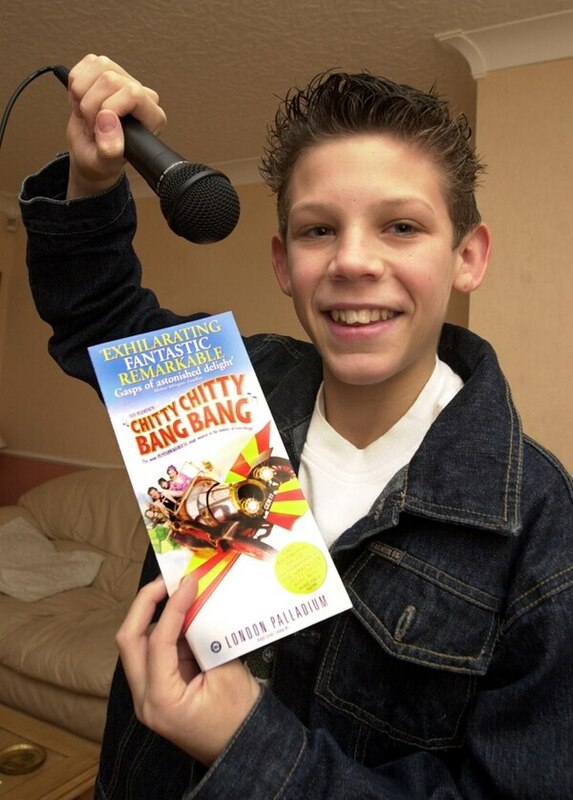 By the time he was 13-years-old he appeared in the London Palladium musical Chitty Chitty Bang Bang. He always had an interested in acting and as a child convinced his mother to buy him a video camera after lying to her saying he needed it for a media project. His films focused around highlighting issues including bullying. There was also a love for watching films and he used to try and sneak into the Electric Palace Picture House in Cannock to watch films aged 12 when he was 11. In 2003, he was in his first TV series BBC’s The Big Read where he played Will Parry and went onto be Liam McAllister in Hollyoaks in 2010. During his time on Hollyoaks, he acted alongside his future fiancée, Rachel Shenton, but they did not get to know each other until later on. He had also been in several films including when he played the young phantom in The Phantom of the Opera in 2004 and Reggie in Pride in 2014.